Hey Dean, What's the caption for this photo? Gently sloping, densely vegetated areas that are designed to treat runoffThat potion of the water precipitated onto a catchment area, which flows as surface discharge from the catchment area past a specified point.Water from rain, snow melt, or irrigation that flows over the land surface. as sheet flow from adjacent imperviousA hard surface area (e.g., road, parking area or rooftop) that prevents or retards the infiltration of water into the soil. surfaces. Filter strips function by slowing runoffThat potion of the water precipitated onto a catchment area, which flows as surface discharge from the catchment area past a specified point.Water from rain, snow melt, or irrigation that flows over the land surface. velocities and filtering out sedimentSoil, sand and minerals washed from land into water, usually after rain. They pile up in reservoirs, rivers and harbors, destroying fish-nesting areas and holes of water animals and cloud the water so that needed sunlight might not reach aquatic plans. Careless farming, mining and building activities will expose sediment materials, allowing them to be washed off the land after rainfalls. and other pollutants, and by providing some infiltration into underlying soils. Filter strips may be comprised of a variety of trees, shrubs, and vegetation to add aesthetic value as well as water quality benefits. They are best suited to treating runoffThat potion of the water precipitated onto a catchment area, which flows as surface discharge from the catchment area past a specified point.Water from rain, snow melt, or irrigation that flows over the land surface. from roads and highways, roof downspouts and low traffic parking lots. They are also ideal as pretreatment to another lot levelThe treatment of urban runoff as close to the source area as possible through application of small scale stormwater management practices on individual properties that are linked to downstream conveyance and end-of-pipe practices. or conveyance practiceA structural practice that is located within the drainage system where flows are concentrated and are being conveyed along corridor. Include but are not limited to pervious pipes, swales, and other similar systems.. Filter strips also provide a convenient area for snow storage and treatment. With proper design and maintenance, filter strips can provide relatively high pollutant removal. Maintaining sheet flow into the filter stripa gently sloping, densely vegetated areas that treat runoff as sheet flow from adjacent impervious areas. They function by slowing runoff velocity and filtering out suspended sediment and associated pollutants, and by providing some infiltration into underlying soils. through the use of level spreaders is essential. Using vegetated filter strips as pretreatmentInitial capturing and removal of unwanted contaminants, such as debris, sediment, leaves and pollutants, from stormwater before reaching a best management practice; Examples include, settling forebays, vegetated filter strips and gravel diaphragms. practices to other LIDLow Impact Development. A stormwater management strategy that seeks to mitigate the impacts of increased urban runoff and stormwater pollution by managing it as close to its source as possible. It comprises a set of site design approaches and small scale stormwater management practices that promote the use of natural systems for infiltration and evapotranspiration, and rainwater harvesting. BMPs is highly recommended. They also provide a convenient area for snow storage and treatment, and are particularly valuable due to their capacity for snowmelt infiltrationThe slow movement of water into or through a soil or drainage system.Penetration of water through the ground surface.. If used for snow storage, the area should be planted with salt-tolerant, non-woody plant species. Because of the simplicity of filter stripa gently sloping, densely vegetated areas that treat runoff as sheet flow from adjacent impervious areas. They function by slowing runoff velocity and filtering out suspended sediment and associated pollutants, and by providing some infiltration into underlying soils. designs, physical changes to the practice are not needed for winter operation. Filter strips are best suited for pretreatmentInitial capturing and removal of unwanted contaminants, such as debris, sediment, leaves and pollutants, from stormwater before reaching a best management practice; Examples include, settling forebays, vegetated filter strips and gravel diaphragms. of runoffThat potion of the water precipitated onto a catchment area, which flows as surface discharge from the catchment area past a specified point.Water from rain, snow melt, or irrigation that flows over the land surface. from roads and parking lots prior to it being treated by other LIDLow Impact Development. A stormwater management strategy that seeks to mitigate the impacts of increased urban runoff and stormwater pollution by managing it as close to its source as possible. It comprises a set of site design approaches and small scale stormwater management practices that promote the use of natural systems for infiltration and evapotranspiration, and rainwater harvesting. BMPs. They are also an ideal practice within stream or wetlandA vegetated area such as a bog, fen, marsh, or swamp, where the soil or root zone is saturated for part of the year. buffer zones. Filter strips can be used as part of a treatment trainStormwater management following the hierarchical approach: Source Control measures, Conveyance Control measure and End of Pipe treatment to achieve the water quality and water balance target for lot level development of the preferred strategy.A combination of lot level, conveyance, and end-of-pipe stormwater management practices. approach. Filter strips may also be applied at roof leaders, outfalls, or large parking lots if level spreaders are used to create sheet flow. They are often impractical in densely developed urban areas because they consume a large amount of space. Properly functioning filter strips should not pondA body of water smaller than a lake, often artificially formed. water on the surface and do not contribute to stream warming. Thus, filter strips are a good stormwater treatment option for cold water streams that support species sensitive to changes in stream temperature. The flow path length across the vegetated filter stripa gently sloping, densely vegetated areas that treat runoff as sheet flow from adjacent impervious areas. They function by slowing runoff velocity and filtering out suspended sediment and associated pollutants, and by providing some infiltration into underlying soils. should be at least 5 m to provide substantial water quality benefits . Filter strips are best used to treat runoffThat potion of the water precipitated onto a catchment area, which flows as surface discharge from the catchment area past a specified point.Water from rain, snow melt, or irrigation that flows over the land surface. from ground-level imperviousA hard surface area (e.g., road, parking area or rooftop) that prevents or retards the infiltration of water into the soil. surfaces that generate sheet flow (e.g., roads and parking areas). The recommended filter stripa gently sloping, densely vegetated areas that treat runoff as sheet flow from adjacent impervious areas. They function by slowing runoff velocity and filtering out suspended sediment and associated pollutants, and by providing some infiltration into underlying soils. slope is between 1 - 3 %. Though steeper slopes increase the likelihood of erosion(1) The wearing away of the land surface by moving water, wind, ice or other geological agents, including such processes as gravitation creep; (2) Detachment and movement of soil or rock fragments by water, wind, ice or gravity (i.e. Accelerated, geological, gully, natural, rill, sheet, splash, or impact, etc)., incorporation of multiple level spreaders in series or terraces can counteract this (see below). A limiting design factor is that the maximum flow path length across the impermeable surface must be < 25 m, as flow tends to concentrate ≥ 25 m over an impermeable surface..
Once runoffThat potion of the water precipitated onto a catchment area, which flows as surface discharge from the catchment area past a specified point.Water from rain, snow melt, or irrigation that flows over the land surface. from an imperviousA hard surface area (e.g., road, parking area or rooftop) that prevents or retards the infiltration of water into the soil. surface becomes concentrated, a swale design should be used instead of a vegetated filter stripa gently sloping, densely vegetated areas that treat runoff as sheet flow from adjacent impervious areas. They function by slowing runoff velocity and filtering out suspended sediment and associated pollutants, and by providing some infiltration into underlying soils. . The first 3 m of filter must be ≤ 2% in all cases. Slope of filter stripa gently sloping, densely vegetated areas that treat runoff as sheet flow from adjacent impervious areas. They function by slowing runoff velocity and filtering out suspended sediment and associated pollutants, and by providing some infiltration into underlying soils. While filter strips are a simple technology, proper design requires attention to detail because small problems, such as concentration of inflowing runoffThat potion of the water precipitated onto a catchment area, which flows as surface discharge from the catchment area past a specified point.Water from rain, snow melt, or irrigation that flows over the land surface. or improper grading, can decrease effectiveness and create nuisance soil erosion or ponding of water conditions. The maximum contributing flow path length across adjacent imperviousA hard surface area (e.g., road, parking area or rooftop) that prevents or retards the infiltration of water into the soil. surfaces must < 25 m.
The imperviousA hard surface area (e.g., road, parking area or rooftop) that prevents or retards the infiltration of water into the soil. surfaces draining to a filter stripa gently sloping, densely vegetated areas that treat runoff as sheet flow from adjacent impervious areas. They function by slowing runoff velocity and filtering out suspended sediment and associated pollutants, and by providing some infiltration into underlying soils. must have slopes < 3 %. The flow path length across the vegetated filter stripa gently sloping, densely vegetated areas that treat runoff as sheet flow from adjacent impervious areas. They function by slowing runoff velocity and filtering out suspended sediment and associated pollutants, and by providing some infiltration into underlying soils. should exceed the maximum flow path length across the imperviousA hard surface area (e.g., road, parking area or rooftop) that prevents or retards the infiltration of water into the soil. surface draining to it. The filter stripa gently sloping, densely vegetated areas that treat runoff as sheet flow from adjacent impervious areas. They function by slowing runoff velocity and filtering out suspended sediment and associated pollutants, and by providing some infiltration into underlying soils. should have a flow path length of ≥ 5 m; however, some pollutant removal benefits are realized ≥ 3 m.
PretreatmentInitial capturing and removal of unwanted contaminants, such as debris, sediment, leaves and pollutants, from stormwater before reaching a best management practice; Examples include, settling forebays, vegetated filter strips and gravel diaphragms. A gravel diaphragm at the top of the slope is always recommended. When filter stripa gently sloping, densely vegetated areas that treat runoff as sheet flow from adjacent impervious areas. They function by slowing runoff velocity and filtering out suspended sediment and associated pollutants, and by providing some infiltration into underlying soils. slopes are greater than 5 %, a series of level spreaders, check dams or gravel diaphragms should be used to help maintain sheet flow. Filter strips should drain continuously as sheet flow until reaching a swale, bioretention facility, or other LIDLow Impact Development. A stormwater management strategy that seeks to mitigate the impacts of increased urban runoff and stormwater pollution by managing it as close to its source as possible. It comprises a set of site design approaches and small scale stormwater management practices that promote the use of natural systems for infiltration and evapotranspiration, and rainwater harvesting. practice. When designed as a stand alone water quality BMPBest management practice. State of the art methods or techniques used to manage the quantity and improve the quality of wet weather flow. BMPs include: source, conveyance and end-of-pipe controls. (i.e., not pretreatmentInitial capturing and removal of unwanted contaminants, such as debris, sediment, leaves and pollutants, from stormwater before reaching a best management practice; Examples include, settling forebays, vegetated filter strips and gravel diaphragms. to another BMPBest management practice. State of the art methods or techniques used to manage the quantity and improve the quality of wet weather flow. BMPs include: source, conveyance and end-of-pipe controls.) the vegetated filter stripa gently sloping, densely vegetated areas that treat runoff as sheet flow from adjacent impervious areas. They function by slowing runoff velocity and filtering out suspended sediment and associated pollutants, and by providing some infiltration into underlying soils. should be designed with a pervious berm at the toe of the slope for shallow ponding of runoffThat potion of the water precipitated onto a catchment area, which flows as surface discharge from the catchment area past a specified point.Water from rain, snow melt, or irrigation that flows over the land surface..
Media for the bermA compacted earthen wall that diverts runoff or creates shallow ponding of runoff. In some cases, runoff ponds behind the berm and gradually flows through it or is infiltrated. should consist of 40 % excavated topsoil, 40 % sand, and 20 % fine gravel. RunoffThat potion of the water precipitated onto a catchment area, which flows as surface discharge from the catchment area past a specified point.Water from rain, snow melt, or irrigation that flows over the land surface. ponds behind the bermA compacted earthen wall that diverts runoff or creates shallow ponding of runoff. In some cases, runoff ponds behind the berm and gradually flows through it or is infiltrated. and gradually flows through it, into the underdrainA perforated pipe used to assist the draining of soils. connected to the storm sewer system. The volume ponded behind the bermA compacted earthen wall that diverts runoff or creates shallow ponding of runoff. In some cases, runoff ponds behind the berm and gradually flows through it or is infiltrated. should be equal to the water quality storage requirement. During larger storms, runoffThat potion of the water precipitated onto a catchment area, which flows as surface discharge from the catchment area past a specified point.Water from rain, snow melt, or irrigation that flows over the land surface. will overtop the bermA compacted earthen wall that diverts runoff or creates shallow ponding of runoff. In some cases, runoff ponds behind the berm and gradually flows through it or is infiltrated. and flow directly into a storm sewer inlet. . If native soils on the filter stripa gently sloping, densely vegetated areas that treat runoff as sheet flow from adjacent impervious areas. They function by slowing runoff velocity and filtering out suspended sediment and associated pollutants, and by providing some infiltration into underlying soils. site are highly compacted, or of such low fertility that vegetation cannot become established, they should be tilled to a depth of 300 mm and amended with compost to achieve an organic matter content of 8 - 15 %. The context of filter strips is often natural, informal and somewhat informal. Filter stripa gently sloping, densely vegetated areas that treat runoff as sheet flow from adjacent impervious areas. They function by slowing runoff velocity and filtering out suspended sediment and associated pollutants, and by providing some infiltration into underlying soils. vegetation can consist of turf grasses, meadow grasses, wildflowers, shrubs, and trees. Trees and shrubs with deep rooting capabilities are recommended for planting to maximize soil infiltration capacity . Filter strips used for snow storage and treatment should be planted with non-woody vegetation. Designers should choose vegetation that stabilizes the soil and is salt tolerant where the filter stripa gently sloping, densely vegetated areas that treat runoff as sheet flow from adjacent impervious areas. They function by slowing runoff velocity and filtering out suspended sediment and associated pollutants, and by providing some infiltration into underlying soils. will be used for snow storage or to treat road runoffThat potion of the water precipitated onto a catchment area, which flows as surface discharge from the catchment area past a specified point.Water from rain, snow melt, or irrigation that flows over the land surface..
Vegetation at the toe of the slope (where ponding may occur) should be able to withstand both wet and dry soil conditions. Whatever the type of vegetation used, it must be densely planted to slow runoffThat potion of the water precipitated onto a catchment area, which flows as surface discharge from the catchment area past a specified point.Water from rain, snow melt, or irrigation that flows over the land surface., collect sedimentSoil, sand and minerals washed from land into water, usually after rain. They pile up in reservoirs, rivers and harbors, destroying fish-nesting areas and holes of water animals and cloud the water so that needed sunlight might not reach aquatic plans. Careless farming, mining and building activities will expose sediment materials, allowing them to be washed off the land after rainfalls., and allow for infiltrationThe slow movement of water into or through a soil or drainage system.Penetration of water through the ground surface.. Although filter strips are often grassed, alternatives include forested filter strips or multi-zone filter strips, which feature several vegetation zones providing a gradual transition from turf to meadow to shrub and forest. The multi-zone filter stripa gently sloping, densely vegetated areas that treat runoff as sheet flow from adjacent impervious areas. They function by slowing runoff velocity and filtering out suspended sediment and associated pollutants, and by providing some infiltration into underlying soils. design can be effective as a buffer zone to an existing natural heritage feature. Resilient turf grasses are particularly useful in the design of vegetated filter strips, dry ponds and enhanced grass swales. The Ministry of Transportation have standardized a number of grass mixes. The 'Salt Tolerant Mix' is of particular value for low impact developmentA stormwater management strategy that seeks to mitigate the impacts of increased urban runoff and stormwater pollution by managing it as close to its source as possible. It comprises a set of site design approaches and small scale stormwater management practices that promote the use of natural systems for infiltration and evapotranspiration, and rainwater harvesting. applications alongside asphaltA mixture of mineral aggregates bound with bituminous materials, used in the construction and maintenance of paved surfaces. roadways and paved walkways. BermA compacted earthen wall that diverts runoff or creates shallow ponding of runoff. In some cases, runoff ponds behind the berm and gradually flows through it or is infiltrated. height (mm) This is the height of the curb which constrains the overland sheet flow of water. Where the bottom of the slope discharges directly into another LIDLow Impact Development. A stormwater management strategy that seeks to mitigate the impacts of increased urban runoff and stormwater pollution by managing it as close to its source as possible. It comprises a set of site design approaches and small scale stormwater management practices that promote the use of natural systems for infiltration and evapotranspiration, and rainwater harvesting. facility without impedance, the value is 0. Surface roughness (Manning’s n) Lower numbers indicate less surface obstruction and result in faster flow. See Turf for ideas of a good number according to mowing practices. Surface slope (%) If the slope > 3%, consider using level spreaders to reduce erosion of the surface under high flow velocities. Porosity (fraction) Suggest around 0.4, unless otherwise tested. Starting after TRIECA (end March) members of STEPSustainable Technologies Evaluation Program will be undertaking a literature review on the performance of our most popular BMPs. The results will be combined with the information we have to date from the development of the Treatment Train Tool and agreed performance metrics established. Until then, please feel free to continue to ask questions via email or the feedback box below. Vegetated filter strips are primarily a practice used to achieve water quality improvements although some infiltration can occur, depending on the soil type and infiltration rateThe rate at which stormwater percolates into the subsoil measured in inches per hour.. Partial: depending on soil infiltration rateThe rate at which stormwater percolates into the subsoil measured in inches per hour. Partial: depending on soil infiltration rateThe rate at which stormwater percolates into the subsoil measured in inches per hour. and length of flow path over the pervious area Partial: depending on soil infiltration rateThe rate at which stormwater percolates into the subsoil measured in inches per hour. Water balanceThe accounting of inflow and outflow of water in a system according to the components of the hydrologic cycle. Research indicates that runoffThat potion of the water precipitated onto a catchment area, which flows as surface discharge from the catchment area past a specified point.Water from rain, snow melt, or irrigation that flows over the land surface. reduction from vegetated filter strips is a function of soil type, slope, vegetative cover and flow path length across the pervious surface. A conservative runoffThat potion of the water precipitated onto a catchment area, which flows as surface discharge from the catchment area past a specified point.Water from rain, snow melt, or irrigation that flows over the land surface. reduction rate for vegetated filter strips is 25% for HSG C and D soils and 50% for HSG A and B soils. These values apply to filter strips that meet the design criteria outlined in this section. Vegetated filter strips can provide moderate pollutant removal from runoffThat potion of the water precipitated onto a catchment area, which flows as surface discharge from the catchment area past a specified point.Water from rain, snow melt, or irrigation that flows over the land surface.. Research suggests that runoffThat potion of the water precipitated onto a catchment area, which flows as surface discharge from the catchment area past a specified point.Water from rain, snow melt, or irrigation that flows over the land surface. pollutant concentrations and loads decrease when treated with filter strips and that steady state pollutant levels are typically achieved within 5 m of the pavement edge . Based on a synthesis of performance monitoring studies as of 2000, it was reported that pollutant removal efficiencies of vegetated filter strips are highly variable. For this reason, filter strips should be used in conjunction with other water quality best management practicesState of the art methods or techniques used to manage the quantity and improve the quality of wet weather flow. BMPs include Source, Conveyance and End-Of-Pipe Controls. (e.g., as pretreatmentInitial capturing and removal of unwanted contaminants, such as debris, sediment, leaves and pollutants, from stormwater before reaching a best management practice; Examples include, settling forebays, vegetated filter strips and gravel diaphragms.). Performance of filter strips has also been evaluated based on the Roadside Vegetated Treatment Sites Study  and the BMPBest management practice. State of the art methods or techniques used to manage the quantity and improve the quality of wet weather flow. BMPs include: source, conveyance and end-of-pipe controls. Retrofit Pilot Study . These studies concluded that concentration reductions consistently occur for TSSTotal suspended solids and total heavy metals and frequently for dissolved metals. Nutrients concentrations remained generally unchanged. NOTE:Water quality performance declines when vegetation cover on the filter stripa gently sloping, densely vegetated areas that treat runoff as sheet flow from adjacent impervious areas. They function by slowing runoff velocity and filtering out suspended sediment and associated pollutants, and by providing some infiltration into underlying soils. falls below 80 %. ↑ 1.0 1.1 Barrett, M., Lantin, A., Austrheim-Smith, S. 2004. Stormwater pollutant removal in roadside vegetated buffer strips. Transportation Research Record. No. 1890, pp. 129-140. ↑ Claytor, R. and T. Schueler. 1996. Design of Stormwater Filtering Systems. Center for Watershed Protection. Ellicott City, MD. ↑ Cappiella, K., T. Schueler, and T. Wright. 2006. Urban Watershed Forestry Manual, Part 2. Conserving and Planting Trees at Development Sites. Center for Watershed Protection. Prepared for United States Department of Agriculture, Forest Service. ↑ Philadelphia Water Department (PWD). 2007. Philadelphia Stormwater Management Guidance Manual. Philadelphia, PA.
↑ Oregon State Univ., Corvallis. Dept. of Civil, Construction and Environmental Engineering. ; Environmental Protection Agency, Cincinnati ONRMRL. Storm Water Management Model Reference Manual Volume I Hydrology (Revised). 2016:233. https://nepis.epa.gov/Exe/ZyPURL.cgi?Dockey=P100NYRA.txt Accessed August 23, 2017. ↑ Abu-Zreig, M. Rudra, M. Lalonde. H. Whitely and N. Kaushik. 2004. Experimental investigation of runoff reduction and sediment removal by vegetated filter strips. Hydrologic Processes. 18: 2029-2037. ↑ 9.0 9.1 Barrett, M. 2003. 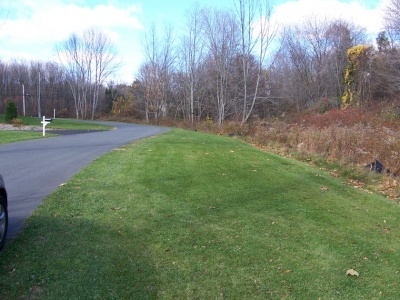 Roadside Vegetated Treatment Sites (RVTS) Study Final Report, Report # CTSW-RT-03-028. California Department of Transportation. Sacramento, CA. ↑ Barrett, M., Lantin, A., Austrheim-Smith, S. 2004. Stormwater pollutant removal in roadside vegetated buffer strips. Transportation Research Record. No. 1890, pp. 129-140. ↑ California Department of Transportation (Caltrans). 2004. BMP Retrofit Pilot Program, Final Report, CTSW-RT-01-050. Sacramento, CA.